Email is a tool that allows not only a direct and regular relationship between businesses and the consumers but also the sending of commercial communications that could be of interest to the receiver. The success of our campaigns depends on many factors. 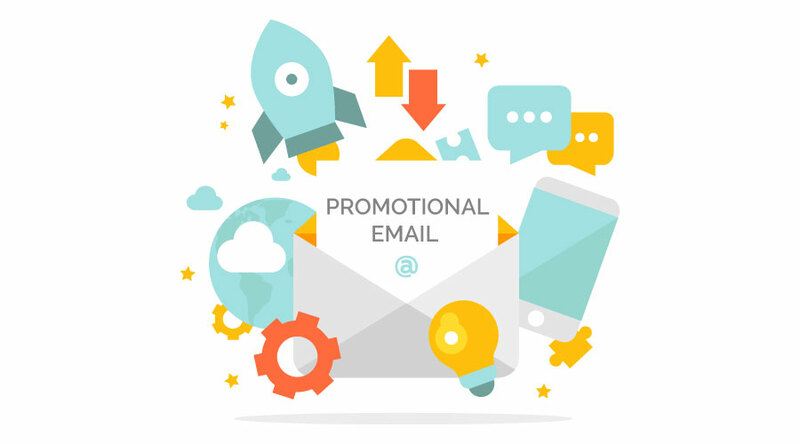 We recently wrote an article where we talked about how to improve the effectiveness of the email marketing campaigns, today however, we want to take it one step further by giving you some ideas about promotional emails that you could carry out to improve the sales of your business. Its important to distinguish informative emails such as newsletters that are designed to build trust and connect with the audience, they are sales orientated, and take advantage of this confidence in order to sell products to the subscribers on our lists. Once we understand this distinction, we can focus on the next type of emails, which are the ones that look for a direct answer from the recipient and convert to a sale. In this sense, we must be able to generate messages that both attract and connect with the audience as well as push them to buy our products or services. In today’s post we are going to give you 10 great ideas on how to take advantage of email marketing to carry out campaigns that are aimed at increasing your sales. Are you ready? It is the promotional email par excellence. It is about communicating an offer or discount that will only be available to the recipient for a limited amount of time. Its important to take into account the sense of urgency that serves to drive compulsive purchases and is also the main resource used in these kinds of emails for boosting sales. Offering the right product at the right moment is also one of the ways to generate more sales. Keep in mind holidays and any other important dates that the consumer is going to look for your product or service and take advantage of it by launching an email marketing campaign. Email marketing is a great platform for advertising a new product or service and it allows you to give out a lot more information about its characteristics, advantages, etc. than through a more traditional means of communication. Plus you can use the call to action or create an initial promotion to support your product or service launch. “The best selling”, ”Top searches”, “The 10 products you can afford to miss this month”… We love lists and they can be a great option for showing off your products or services in a different way. Try to be clever and witty in the way you promote them and include links to your website or ecommerce site to increase visits and sales. Why not take advantage of important dates throughout the year such as birthdays to make a gesture to your subscribers and show them how thoughtful you are? You probably already have their date of birth from when they originally signed up, so it’s a good idea to send them a birthday greeting and offer them some kind of discount or an exclusive offer. Use email marketing to suggest complementary items that the customer might be interested in to go with the products that they have already bought in your store. For example if they have purchased a specific make of telephone, take advantage of that fact by offering them covers, chargers and other types of accessories that go with that model. Likewise, if we have a list of the last purchases that a client has made in our store, we can build up a picture of what their tastes are and in turn offer them similar products that they may be interested in. For example, if someone buys a camera on one occasion, a tripod on another and camera lenses on another, its safe to assume that they like photography, and so we will be able to suggest some related products to them based on this theme. Ahead of sporadic promotional emails, you can also create promotional emails that are sent on a regular basis such as “Friday’s offer” or “Promotion of the month”. It’s a way to be consistent with your shipments and get your subscribers used to receiving these emails regularly and hopefully even have them waiting impatiently for the latest offer to arrive in there inbox. Email marketing can be a good tool for selling off the stock that you have of a particular product. As we have mentioned previously, by creating a sense of urgency it can boost impulse buying so it may be a good idea to try it out by suggesting that only a few units remain. Email marketing lets us start selling our products or services before they are even in the high street. Offering discounts for the reservations are great ways of generating sales from the get go, as well as creating expectations and giving us an idea of how the product or service is going to do in the market. Don’t hesitate any longer, make effective email marketing with your free MDirector account and increase the sales of your business. Sign up today!